29th July, Every Windows users were waiting for this date. Even this would be the biggest day in Microsoft history, as today Soft giant is going to release one of their best operating system "Windows 10". As Microsoft already mentioned that Windows 10 will be the last Windows version, so there will be no more Windows going to release. Everyone are very much excited to get Windows 10 on your system, and even everyone have reserved there copy of the Windows 10, as Microsoft is giving Windows 10 free of cost to Windows 7 and Windows 8 users. Learn how to reserve the copy of Windows 10 from this page. As Windows 7 and Windows 8 or 8.1 users will be get free upgrade to Windows 10 via Windows Update. To get it just hit the Start key, type "Update," and select "Windows Update" from the list of options. If you have reserved the copy of Windows 10 via new Windows notification menu then your copy of Windows 10 may have already been pre-downloaded over the last few days. The helper app will prompt you when Windows 10 is ready to install. Do worry if you haven't got the notification or just missed the Windows Update notification menu, just read the steps here. If you don't like to wait then you can directly grab the ISO file of the Windows 10, and the final Windows 10 build is also available on MSDN for subscribers. If you don't have Windows 7 or 8 (or 8.1)—if you're finally leaving behind Windows XP—you'll need to buy a licence, which will set you back £99/€135 for the Home edition or £189/€279 for Pro. 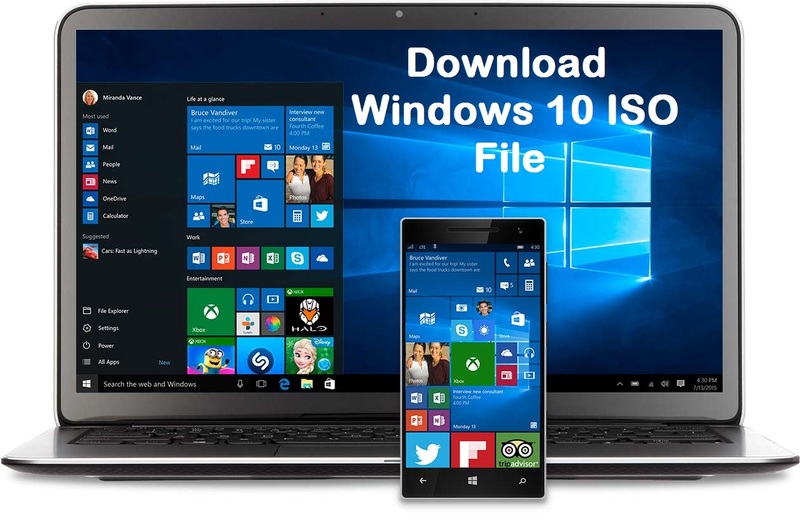 For the betterment of our readers we are giving the direct download link of Windows 10 ISO files that were official released by Microsoft. So grab your copy from here.